Call Brinks Customer Service at 773-475-2600, Ext. 1. Ask to speak to the Branch Manager. If there no answer, leave a message! I worked as a route coordinator at Brinks on the West side of Chicago since August 2014. 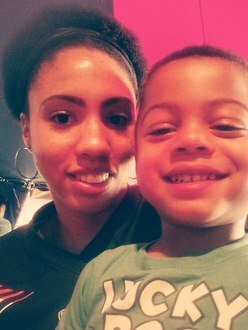 Despite being the single mother of a three year old child, I was required to work a minimum of 50 hours a week. I was often told not to leave the building for my lunch break. Brinks pays most of its workers way under $15/hour, and has taken away our annual raises, even though the company made $3.5 billion last year. Brinks cut workers’ overtime pay last year, even though most workers work up to 16 hour days, often with no breaks. Then earlier this year, they took away workers’ earned vacation time, implementing an accrue-as-you-go policy with no compensation for time that workers had saved under the old system. 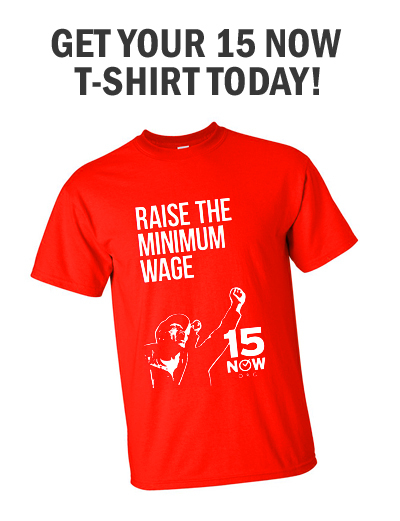 So when I told my co-workers about the April 15th national strike for $15 and a union, they were ready for action. 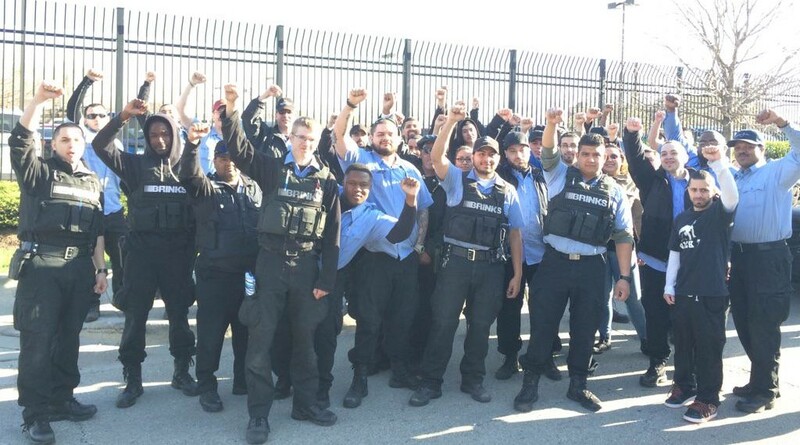 Things got organized in just three days, and a big majority of the drivers and messengers walked out on April 15th! I was targeted and fired just one week after our a successful strike. Management gave no official communication as to why I was fired, but repeatedly intimidated and threatened me for supporting the drive for union recognition. Because I was a dispatcher and paid a salary instead of hourly pay, Brinks labels me as “management” and says I don’t have legal protection to fight for my rights or be represented by a union. But we’ve filed a legal challenge with the NLRB challenging their definition of management and their unjust decision to fire me. Since the strike, a majority of Brinks drivers and messengers have signed union cards, but management refuses to recognize the union or negotiate. Instead they are using the leverage of the economic hardship they can inflict on employees through reduced hours or termination. 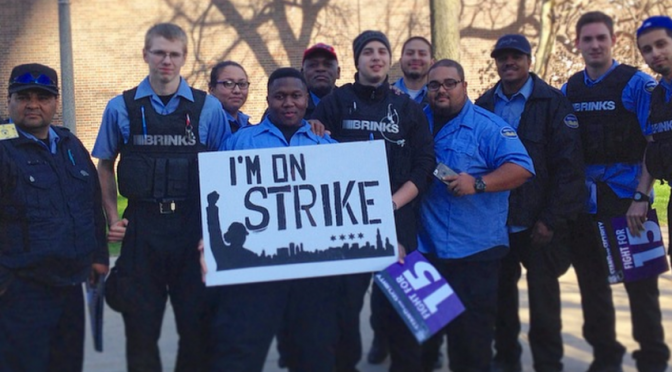 We must not allow companies like Brinks to just fire someone for speaking up against unfair working conditions or intimidate workers into submission while they pocket millions. We must fight back! Brinks provides service for many banks like Chase and Bank Of America, and large corporations like Walmart and McDonalds, companies known for opposing workers rights. It is time that workers are paid adequately and big businesses are held accountable for worker exploitation and intimidation tactics. That’s why I got active with 15 Now. We need to fight, because MONEY IS NOT MORE VALUABLE THAN HUMAN LIVES!! !